Got some Gen Mai Cha in from Republic, both loose and in bags. That’s the green tea with toasted brown rice. Have a great week everyone. We’ll leave you with a cool photo set and a song. A photographer named Natsumi Hayashi did these. It’s still self portraits of her jumping, where she looks like she is flying. 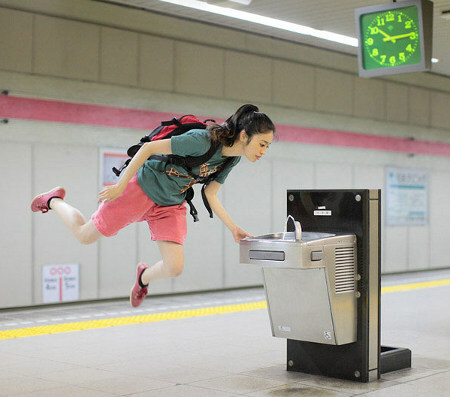 She said in an interview that sometimes she jumps 100 times before she can get the right picture. That’s a good lesson for all of us impatient people, that sometimes when you want to do something really great you have to fail at it a bunch of times, and still see it through. Pretty inspiring photos. Just an update to let everyone know that we have the full 'Be Well' series from Republic of Tea in stock. This includes non caffeinated herbal blends that are good for different needs from energy, to heart health, to skin care. 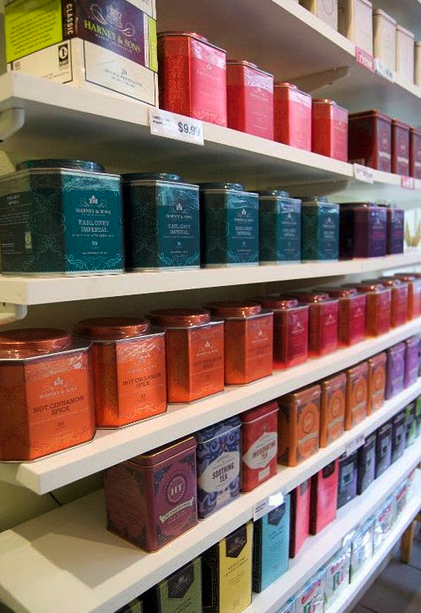 We hope everyone is ready for a great weekend and we encourage you to swing by and grab some tea by the cup, or something to keep chilled in the fridge for you and your guests. Also check out this awesome business one of our customers opened up, it's called Fetch Club, and it's a hotel for dogs. The future is here. Another reason to love New york City. Browse their website.